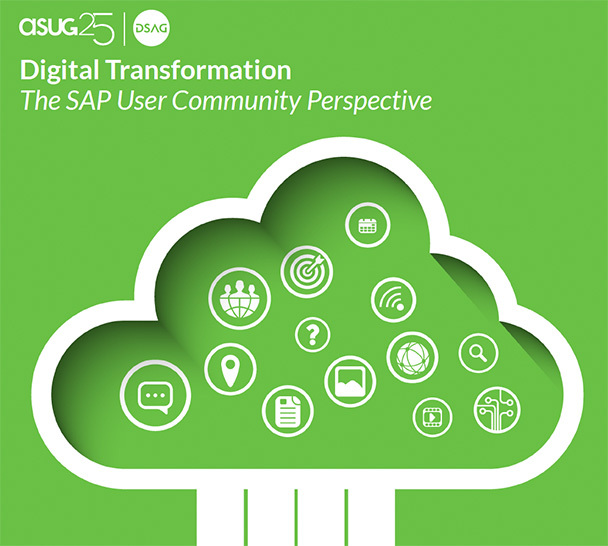 Last month, the US and German SAP user communities released a white paper on Digital Transformation: The SAP User Community Perspective. The relentless pursuit of the conversion of our physical world into an environment represented by information, software, analytics, technology-enabled business processes, bits, bytes and data. 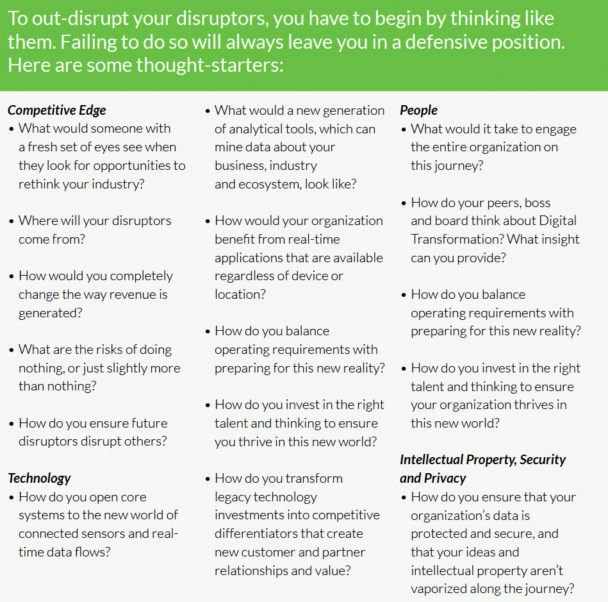 How can you out-disrupt your potential disruptors? What’s the right balance between flexible new systems for business units, and the overall company foundation? One of the other key trends that we have observed in recent years is the fragmentation of technology purchasing decisions. As cloud and subscription-based services proliferate, business units within many member organizations have become the purchasers of these solutions, oftentimes without consulting the technology teams or thinking through the long-term impacts. While this gives business units a degree of technology autonomy they have never had before, it also exacerbates the fragmentation of the technology portfolio. And this is occurring at exactly the time that Digital Transformation requires clean and efficient business operations. While many of today’s cloud solutions are compelling answers to specific business unit challenges, few of them have the maturity, breadth and scale to operate at the enterprise level that many of our member companies require. Open business platforms simply cannot be achieved if the supporting technology portfolio is overly fragmented and interfaced. A careful balance must be struck between enabling an open business platform and keeping to a few standard applications. The answer is not to achieve open business platforms by implementing a new set of cloud solutions that are narrow in scope and sophistication. Where does SAP fit in Digital Transformation plans? Members who recognize the reality of Digital Transformation should think about investing in the latest SAP innovations. This means earnestly evaluating SAP HANA and SAP S/4HANA in a careful and measured fashion, as well as SAP SuccessFactors, SAP Ariba, Concur, SAP Fieldglass, SAP Hybris and SAP Cloud for Customer. As always, forward-thinking businesses must also recognize SAP HANA and SAP S/4HANA are works in progress and do not represent a panacea for solving the full complement of Digital Transformation issues. Nonetheless, the opportunities afforded by starting early far outweigh the risk of starting too late. No matter where your company is on the Digital Transformation adoption journey, there’s a very good chance there are hundreds of other companies grappling with the same difficult questions. This is why you invest your time to be part of our user groups: to be educated, to network and learn from each other, and to influence SAP as it continues to refine and mature its solutions—solutions that ultimately become your solutions and your own disruption engine.